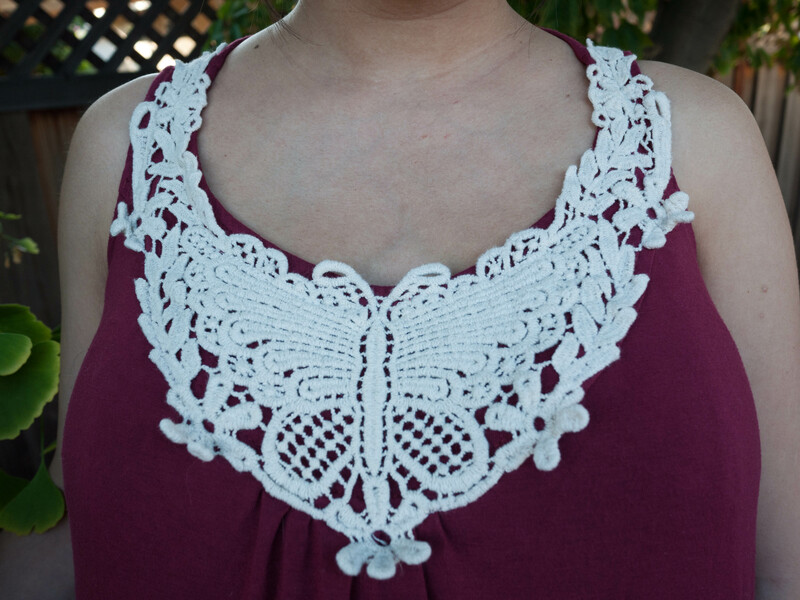 After getting the pretty lace collars from my parents, I just couldnt wait to make a dress with them. I drafted the simple pattern myself (kind of based on one of my favorite shirts) and made the dress using the remaining bamboo jersey I had from the failing jersey wrap. I love it! It is very comfortable to wear. Once the baby is out, I am going to actually hem it to the right length and maybe do an uneven hem. The lace collar really do add a nice pop to the collar around, framing my face very flatteringly! Here is the full body shot… man, I do look very pregnant. It is a little tent-like here, which is how I like to wear it, but it looks more flattering with a belt below the bust. I am 37.5 weeks now! 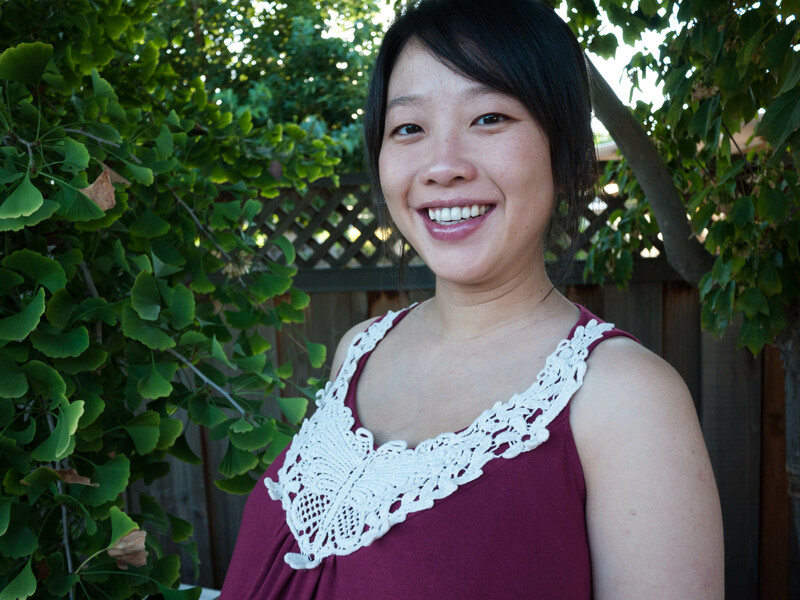 I have started my maternity leave — my days are now pretty much filled with sleep, naps, cooking, eating, vegging/TV and sewing! I must say, being a housewife (without kids) is quite awesome! Too bad it probably wont last that long. The doctor says the baby has turned, and I am “any time now”! This entry was posted on Tuesday, September 27th, 2011 at 5:25 pm	and posted in finished pieces. You can follow any responses to this entry through the RSS 2.0 feed. AHHHHhhhh!! Sooo exciting! Any time now? Gosh! Little Kaylee, we all await you =) And I like the dress. The neckline looks very asian to me, lol. I guess it’s cuz I’ve seen those lace necklines only in asia before. This dress looks cute with the lace at the neckline. Nicely done. Best wishes for you and little Kaylee! The dress looks great. And, oh, wow, ‘any time now’! You must be so excited. I wish you all the best. Good luck with everything. What a pretty pregnant mummy you have been!